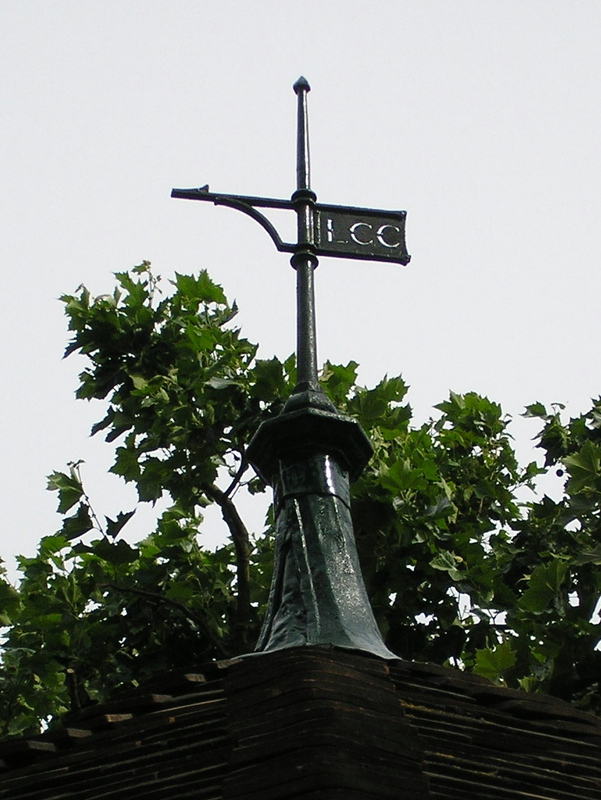 Life is so fast-paced that we rarely have the opportunity to really take a look at the area we live in, yet within a few minutes of the Boundary Estate are some incredible places to visit, experience or even just look at – and most of it for free! 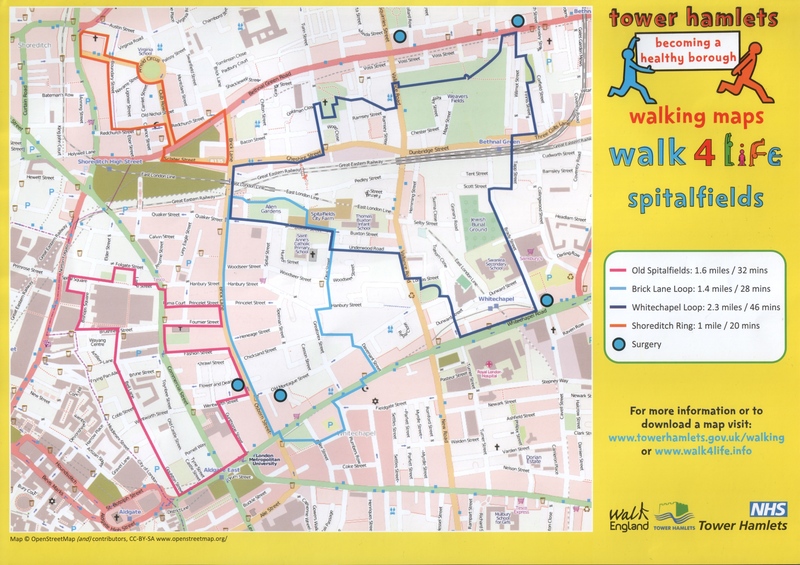 Walk for London, Tower Hamlets Council and Walk4Life have joined together to design some great walking routes, covering the whole borough. 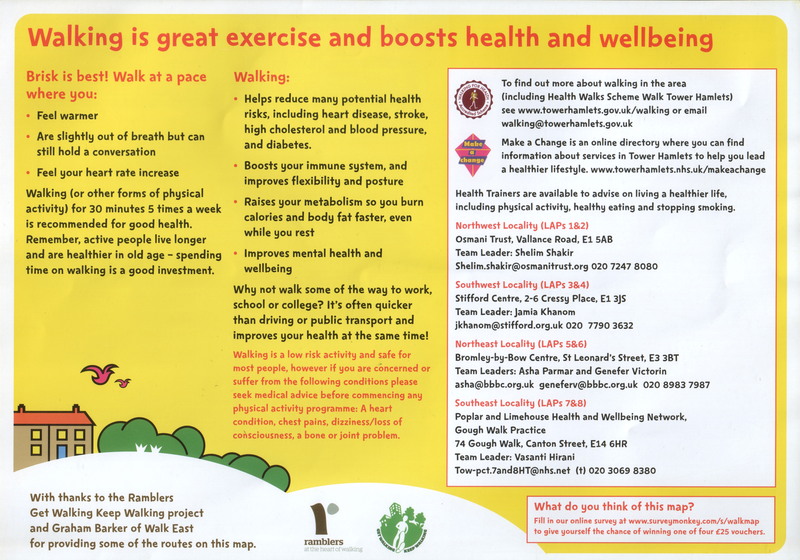 You can download maps for free, connect with walking groups and, for those who want to take up walking as part of a healthy lifestyle, there are further guides and information from the Walk4Life website (don’t be put off – it isn’t preachy or patronising, the link is at the foot of this page). The highly detailed maps show places of interest on the route, bus stops, underground/rail stations and places for refreshments. Below the map are more helpful links. Enjoy yourself!